CooksRecipes has quality, kitchen-tested recipes for New York-style bagels, breadsticks, soft pretzels, crumpets and more that you can count on for successful deliciousness. 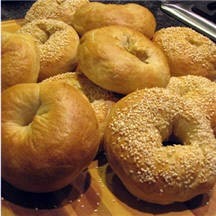 This is how bagels are suppose taste, along with having the perfect texture you can only get from a "boiled-first and then baked" bagel. 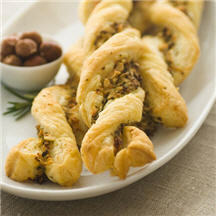 These tasty twists made with pesto, hazelnuts and Parmesan cheese are a delicious way to start the evening or serve them with soup. 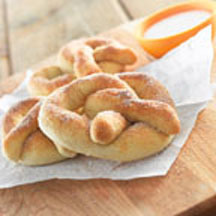 A sweet twist on the familiar pretzel, these soft and tender treats will quickly become a family favorite.